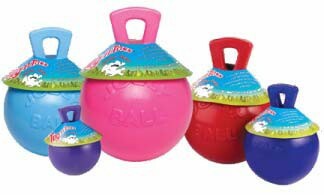 Tug-n-Toss® balls are a great interactive toy. The handle makes them super easy to retrieve. These balls float and bounce and do not need air to inflate.